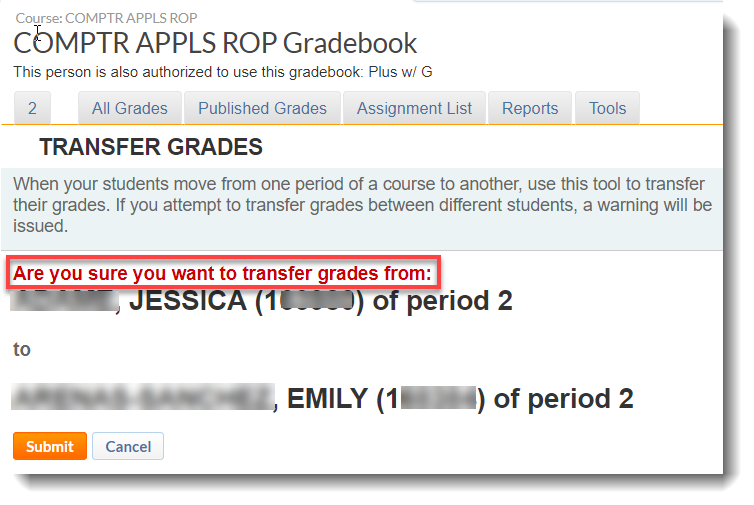 This article aims to provide instructions on how teachers can transfer grades between students. Transferring grades between different students are allowed, but you will receive a warning message. The warning message reminds the teacher if they are sure with their actions. 1. 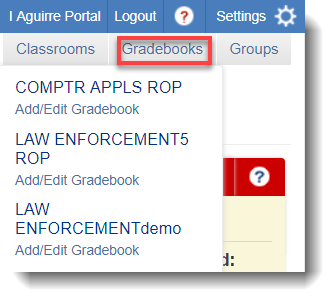 Login to your School Loop teacher account, click Gradebooks on the top right and choose the appropriate subject. 2. 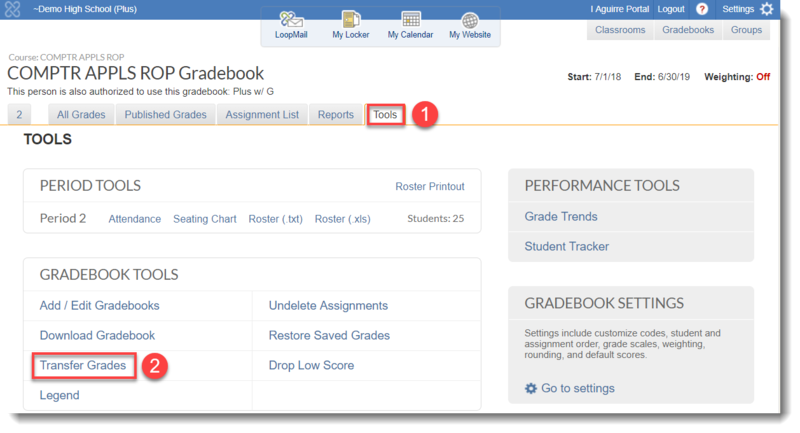 Click Tools -> Transfer Grades. 3. 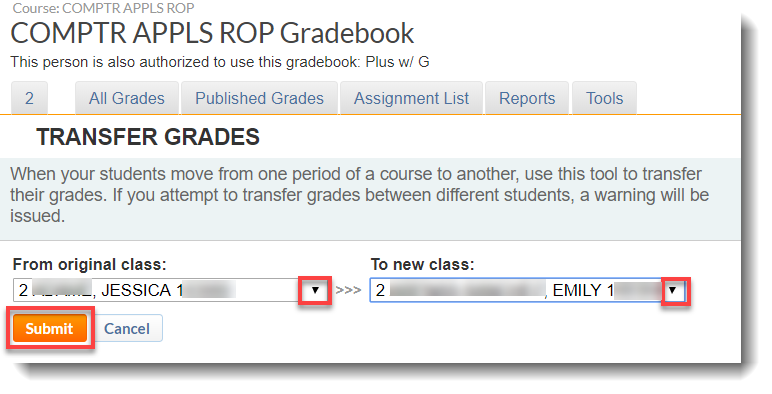 Click the drop-down arrows to get the list of students. Choose to Submit once done. 4. You'll receive this warning message: "Are you sure you want to transfer grades from:"
5. Once you have decided, click the Submit button. 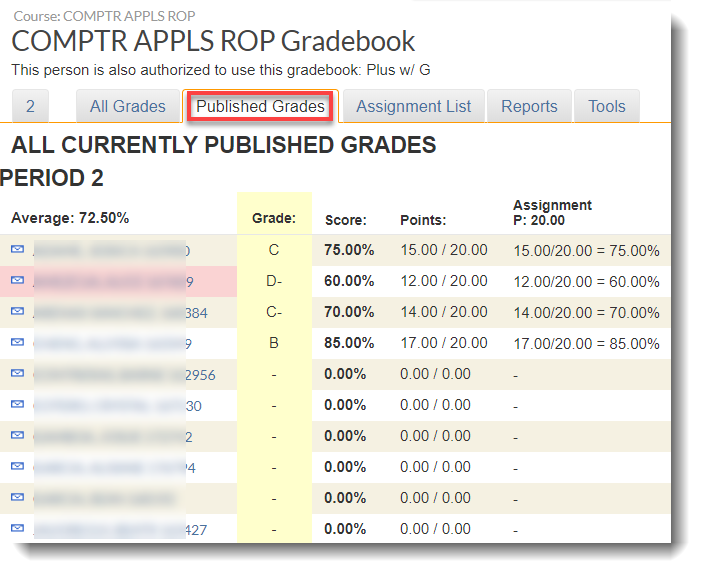 Go to Published Grades to verify if the scores have taken effect.